Find a culture trip that explores Middle East. There are 562 cultural tours to choose from, that range in length from 3 days up to 30 days. The most popular month for these tours is September, which has the most tour departures. "Peter was an amazing tour guide! 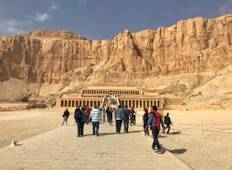 We covered a lot of ground in a short period of..."
"Great value for money trip that covers so many of Egypt's highlights and offering..."
"Fantastic tour, very well organised. Have already recommended this to so many prior..."
"What an amazing experience. 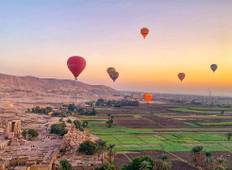 I rode a camel, went up in a hot air balloon and spent..."
"It was a fantastic tour going to all the important sites and with the most knowledgeable..."
"Just back from a fantastic G Adventures Highlights of Jordan Tour. First and most..."
"Great tour that covers all the sights you expect from Egypt and Jordan with some..."
"Turkey is one of the most fascinating countries I've been to, and our guide Ugur..."